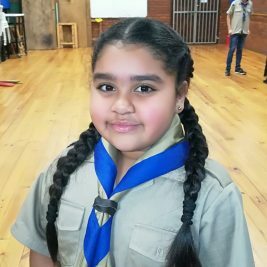 The Library contains SCOUTS South Africa’s Constitution, Rules and Policies as well as the most frequently used forms and programme resources. Please note that the Organisational Rules and Adult Support Policy were recently updated! Some regions use additional forms not listed here. If any national forms are not listed here please inform us on info@scouting.org.za. For more resources also check out the Scout Wiki. Cub Programme Resources: Find the Cub Trail, Cub Badge Book, Programmes on a Plate, National Cub Challenge, etc… here! Scout Programme Resources: The Scout Programme, forms and resources are all available here. Rover Programme Resources: Get the Rover Trail, Rover resources and information you need for your Crew. Adult Support Resources: Do you want to know more about our Adult Leader Support Programme? Here you can find our SSA Job descriptions, Adult Leader forms, information on Adult Leader Training or Recruitment. MARKETING TOOLKIT FOR GROUPS: Are you looking for posters, flyers, banners, brochures, etc.. to promote Scouting in your area? This toolkit is for you! The Marketing Toolkit contains templates, guidelines and ready to print promotional materials !